The company has created a vast spectrum of books on wide range of subjects that are capable of uplifting the standard of living in its true essence. It is we at Aatman, who very well understand the pulse of life and present mindset. And addressing the needs of fast-paced generation, we have adopted an interesting way of presenting the vital knowledge through our books, in a very precise and concise manner avoiding irrelevant information. 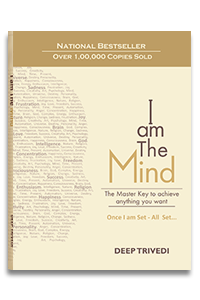 The array of our books comprises subjects like Destiny, Total Science of Mind, Sutras of Lao-Tzu, Quotes for life, Great Stories, numerous individual in-depth psychologies like Dreams, Anger, Fear, Failure to Success, Biographies with psychological Portraits of great and successful personalities and a lot more. The knowledge encapsulated in these books throws light on the positive attitude opted with courage and complete confidence, which has made them legends. Their teachings and thinking about life and religion help people transform their lives by giving them confidence and inspiration. All our books are also available in the form of e-books on our portal. 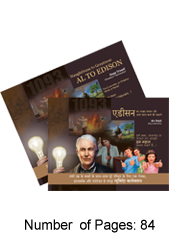 The book is available in Hindi, Gujarati and English. Buy NOW ! 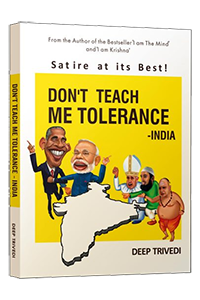 The book is available in Hindi, Gujarati, Marathi and English. Buy NOW ! This book reveals every facet of the mind that one should know and shows how our entire life is dependent and driven by it. It also guides us with respect to the functioning of the mind and the laws governing it. A priceless collection of epigrams about the 500 neglected realities of life from renowned psychoanalyst, Deep Trivedi, who for the first time in the history of world psychology has not only differentiated between the mind and the brain but also their directives and functions in detail. 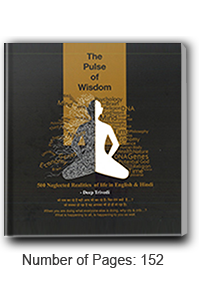 The Pulse of Wisdom throws light upon many subjects like Life, Psychology, Time & Space, etc. which are aptly complemented with artistic illustrations. Buy NOW ! 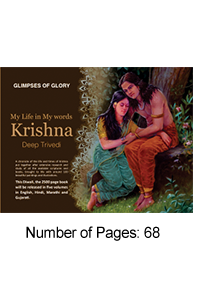 A prequel to 'My Life in My Words – Krishna ', Glimpses of Glory captures in vivid paintings the significant events in Krishna's life. The events that the paintings depict are explained in the original work, to be published in 4 different languages with over a hundred paintings in five volumes. Buy NOW ! The Lumiere Collection series, penned by Mr. Deep Trivedi, comprises books with inspirational and motivational stories accompanied by attractive illustrations and paintings. They emphasise the importance of life skills and what constitutes essential knowledge. Buy NOW ! The Lumiere Collection series, penned by Mr. 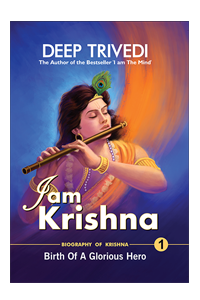 Deep Trivedi, comprises books with inspirational and motivational stories accompanied by attractive illustrations and paintings. They emphasise the importance of life skills and what constitutes essential knowledge.. Buy NOW !